As we mentioned in our last blog post, this past weekend was a big one for Bold Beasts. On Saturday, 1st December, our author Rachel Braddock and illustrator Joy Rutherford attended two separate major events simultaneously, with the aim of spreading the word about Bold Beasts. 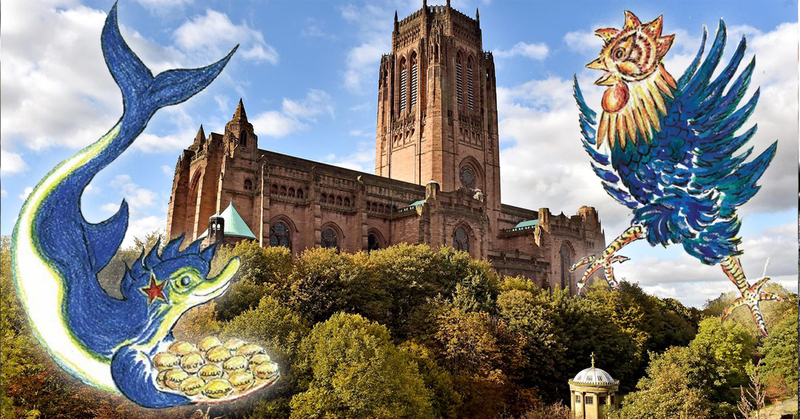 Our Liverpool contingent, which consisted of Rachel and her husband Robert, set up their stall at the annual Winter Arts Market at Liverpool Cathedral. 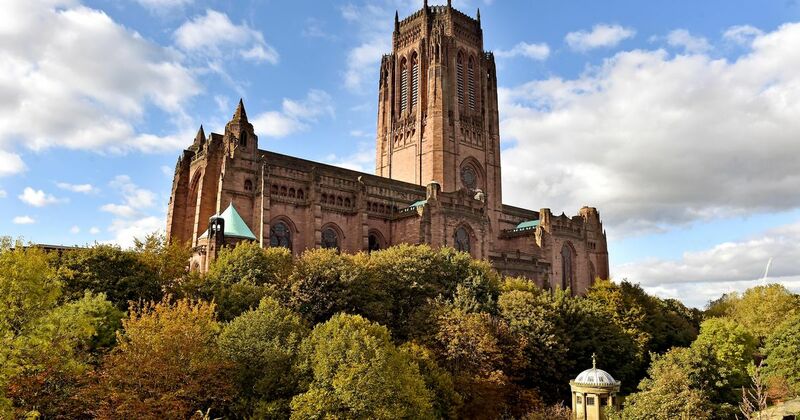 For those who aren’t familiar with Liverpool architecture, Liverpool Cathedral is a huge, awe-inspiring Gothic building in the centre of the city, pictured below. It was built between the years of 1904 and 1978, meaning that generations of the city’s workers began and ended their careers building it – quite remarkable, when you think about it. 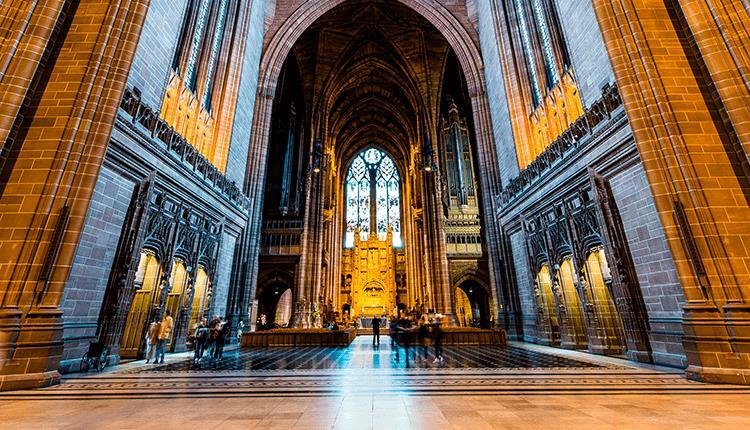 Saturday’s event was held inside the Cathedral, and as you can tell from these pictures, the interior is every bit as grand as the outside. It was a great setting in which to set up our stall, and chat to the many customers and other creatives in our vicinity. We were blown away by the amount of interest shown in the Bold Beasts books at this event, and we sold plenty of books and made plenty of new friends throughout the course of the day. Meanwhile, down in the picturesque Cambridge, our cherished illustrator Joy Rutherford had set up a stall of her own, in Romsey Mill, as part of the Mill Road Winter Fair. Romsey Mill is a church community centre at the bottom of Mill Road, and it was the first time the exhibition had been held there. Mill Road is also known the Latin Quarter of Cambridge, and on both sides there are dozens of shops, cafes, pubs, and churches, not to mention Anglia Ruskin University, where Joy went to art school before taking on the Bold Beasts project. As in Liverpool, we had a number of people show interest in the books and our story, who wouldn’t have been aware of Bold Beasts at the start of the day. We always see this as a success. It was a very enjoyable day in Cambridge, and Joy would like to send big love to two little girls of about 5 and 7, who came to the stall towards the end of the day. The older sister read our books Ariadne Armadillo and Vortigan Vulture faultlessly to her younger sister, before mother bought both for her children. Nothing makes us happier than seeing and hearing children venture into the world of Bold Beasts – this is what it is all about for us. We’d just like to say thank you to everyone who showed interest and bought books and merchandise throughout the day, at both events. While we also sell all of our merchandise online, we enjoy nothing more than selling them in person at events such as these. Thanks to all of our new friends – have a great Christmas, and we’ll hopefully catch you again at events in the new year.